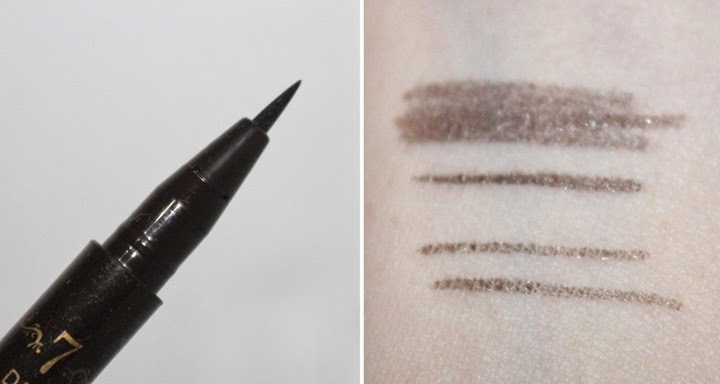 Everything about this product reminds me of liquid eyeliner, from the packaging, the brush and the liquid formula. It comes in two shades: Natural Brown and Dark Brown, I use Dark Brown since I have dark brown hair and I'm thinking of dyeing my hair black real soon! I hope all the pictures I took are pretty clear for y'all. I apply it on both of my eyebrows, on the very first day, your eyebrows will look so intense, no kidding, they're going to be like super dark. Just a lil' tips, its better to apply it right before you sleep, so the color will stay longer, because you're not going to wash your face for at least in 6-8 hours. As you can see at the picture above, the color is almost gone in the 4th day, and yes the color is completely gone in the day after. So I could say the staying power of the product is not precisely 7 days as it claimed, but more of 3-4 days only. I didn't use makeup remover on my brows at all, just washed my face with my regular facial cleanser twice a day, and the color becomes lighter every time I wash my face. However I think it's still a very good product, I don't mind touching up my eyebrows for only two times in a week rather than do it every single day, because I always make sure to go out with groomed eyebrows. 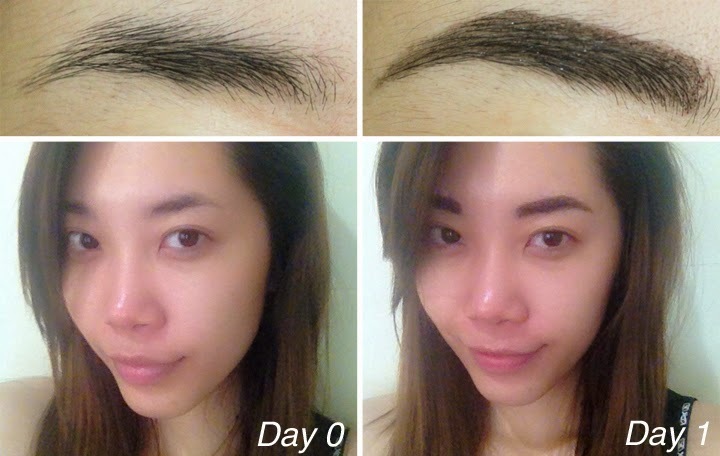 It is really easy to use, I recommend you to have your eyebrows groomed first (if you can't do it by yourself, just go to beauty salon), then just fill in the brows. If you make some mistakes while doing your brows with this product, just remove 'em with eye makeup remover and redo your brows. Really recommended for practical girls like me hehee, and if you have thick eyebrow this product is right for you. Not recommended if you have thin and sparse eyebrow, because the color will become lighter each day, and it will look so unnatural and fake. You can get Tony Moly 7 Days Tattoo Eyebrow (Natural Brown/Dark Brown) and other ready stock original beauty products at Miss Lie Collection (Proven trusted seller since 2009), for free shipping (all over Indonesia) use the code: "beautyappetite"
My tattoo brow washes off completely after the first wash in the first morning :( i applied it like directed before sleeping but still it doesnt work im so disappointed xD what am i doing wrong? as you can see from the picture, on the second day, most of it was already gone haha. i won't recommend this item if you have sparse eyebrows though. i recommend you apply it in the morning, say Monday morning so you still enjoy the full effect for a day. Expect it to wash off on the second day but not completely washed off. It usually washes off and needs retouch on the 3rd or 4th day, still not bad tho.